Thanks to "Captain Marvel" actress Brie Larson is floating right at the top of the wave of superheroes. Now the star has made his directorial debut – and that's not just very weird. It could hardly be less "super" and at the same time magical. "Unicorn Store" is the title of the film, with which Brie Larson just not only made her directorial debut, but in which she also takes the lead role. Coming soon to Netflix, the Comedy unites the "Captain Marvel" star again with "Avengers" colleague Samuel L. Jackson aka Nick Fury. In "Unicorn Store" the Nick Fury actor will not be the leader of a superhero organization, but the mysterious owner of a no less strange business. "The Store", as its very own establishment calls itself, is specialized in a very special business area: the fulfillment of the greatest wishes of its customers. Sounds weird, it is somehow. But at the same time, the official trailer for "Unicorn Store" already makes it clear that Brie Larson's new comedy also has a large portion of heartwarming humor in the luggage. And that, although the initial situation of the plot sounds anything but rosy. 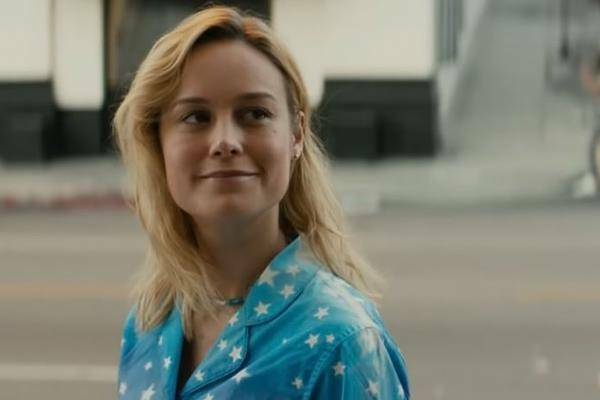 In the film, Brie Larson plays the young art student Kit, who flies from university because of her rather unconventional fondness for rainbow colors and glitter. Forcibly, the young woman then takes on a temporary job at a public relations firm and is almost willing to hang her colorful dreams on the nail, to finally grow up "right". But then you flutter an invitation in "The Store" on the table. "Unicorn Store" by and with Brie Larson will be available on Netflix on April 5th.